— Memories of making your Beatles cover album? 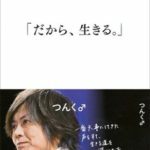 Tsunku♂: I recorded my cover album around the time when I’d first started doing mostly digital production work, so in a way what I wanted to do was the exact opposite of what everyone else was doing and show off with a completely analog recording. I wanted everyone to see what I was capable of after Sharan Q. Plus, the experience of being able to record at a place like Abbey Road Studios was too good to pass up. Back when we were just an amateur band, we’d always used analog recorders. But while making the move to digital felt exciting and fresh, it also felt like it resulted in a sound that lacked flavor and energy. Maybe that’s a thought I’d always had at the back of my mind — I couldn’t have been more excited when I flew to London to record that Beatles cover album. They brought out the same exact models of equipment the Beatles had used to record their albums back then, and it was all recorded on analog tape. To think that I was able to record Beatles covers, in the same studio they’d used, of the very songs I’ve listened to over and over and over again myself… There’s no higher honor than that. Nevertheless, I feel very pleased to have been able to release Beatles songs under my own name. — First Beatles song you ever heard? Tsunku♂: If it’s a song that I’m singing while also playing the guitar, one that feels really good to do is “I’ve Just Seen a Face.” But… I think I’m going to have to say “Day Tripper.” That intro phrase is godly. 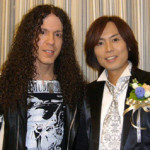 Tsunku♂: Rubber Soul. That’s when their sound suddenly changed, right around this album. It’s also when they started doing more complex overdubs which made it harder for others to cover them. It’s the point when they went from being a rock band to becoming artists and melody makers. Their guitar phrases became very creative as well. This album has the perfect mix of great songs and cool guitar playing. I simply can’t get bored of this one. — Member who influenced you the most? Tsunku♂: Back when I was still a child I didn’t even know who the members of the Beatles were. I didn’t know who was doing what in the band. Thus, I can’t really name any one of them specifically. — Favorite performance of a Beatles song you’ve done, whether it was live or otherwise? — After reading your book, “Dakara, Ikiru,” I got from it the impression that you basically live your life always thinking about whether what you’re doing is “rock’n’roll” or not. When you think of the concept of “rock,” what’s the first artist that pops into your mind? Tsunku♂: When I was just an elementary schooler, I remember thinking about the word “rock” and being reminded of artists like Sheena & The Rokkets, RC Succession and YMO. But on the other hand, I also thought of artists like Sera Masanori & TWIST, Kai Band and Alice. I remember thinking about the differences between these groups. Society labeled them all “rock,” but they didn’t all sound the same to me. So then I’d constantly be thinking, “Then what about Southern All-Stars? What about Yazawa Eikichi? Are they rock’n’roll?” These are questions to which there is no answer. — What did you feel was the difference between those artists? When I was younger, I used to just think that bands who wrote and composed their own material were rock; all the others weren’t. But even the Rolling Stones and the Beatles had done covers when they first debuted, and that’s when I realized it was possible to express rock’n’roll even if it was a song written by someone else. So then we were all going, “wait… what was it that we were trying to do in the first place?” We realized the only thing we were thinking about at the time was “making it big.” We only wanted more and more people to come to our shows. The more we tried thinking about what we actually wanted to do, the more confused we became. I kept looking at what was going on around us. “Wait, so is Ozaki Yutaka rock’n’roll? 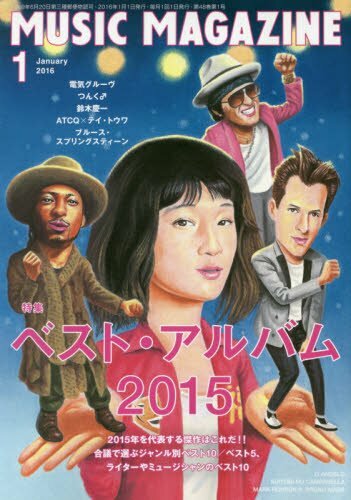 What about Mr. Children? Fukuyama Masaharu? Denki Groove?” There was a band boom happening right around then which meant there was a mountain of stuff we could listen to as reference. And that’s what I did. I also listened to all the stuff I thought was cool when I was an elementary schooler. All the Candies and Pink Lady; all the Yagami Junko and Godiego. It’s taken me a while, but I’m finally arriving at my point. First off, you have to always trust your senses. Godiego — a band I thought sounded cool when I was a kid — sounds stupidly cool now that I’m an adult. Those bass phrases… the timing on the piano… the ghost notes on the drums… the cutting on the guitar… You could listen to any individual part of theirs and it’s all cool. Don’t bring reason into it — just believe in yourself when you think something sounds cool. Don’t listen to music while thinking about theory, and especially don’t make music while thinking about theory. I realized that if I did that, I would never in a million years win against the pros in my line of work. I realized that I shouldn’t fuss over the form so much. Yeah, a leather jacket and jeans is rock’n’roll. But you can still be just as rock’n’roll wearing a suit — the Beatles showed us that much. Sure, rebellion against society is one aspect of rock, but it’s not just about the fashion. You only stand out when wearing a leather jacket because everyone else is wearing a suit. You’d look just as cool wearing a suit if everyone else was wearing leather jackets instead. Once you realize this and become able to implement it in your music, that’s when you become able to create real rock music. So in that sense, I just learned to trust myself. Always be in pursuit of what sounds cool to you. That’s how I came to think. — In “Dakara, Ikiru,” you talked about bringing your family along to your concerts — the concept of what you call the “law of John and Yoko.” In addition, your first album (released in 2000) was actually a Beatles cover album. Is the existence of the Beatles a big thing for you? Tsunku♂: Yes. The Beatles were huge stars and they were idols, but ultimately, what they did was shape the history of music. They did pop music, but every so often their music would make you go, “wait, what was that chord? !” They did all these unexpected things in their music. And yet, they were big enough that the general public would always accept them, and what the general public did was decide that what the Beatles were doing was rock. Say you’d just spent the entirety of last month painting a picture of Mt. Fuji when suddenly you had an accident and you spilled something on your painting. Normally, you might go “oh no, I’ve ruined my painting!” But if you were living your life with a rock’n’roll kind of mindset, you might look at it a second time and decide, “hey… that’s actually not half bad!” I mean, it’s a work of which there’s only going to be one of in the entire world — even if you yourself tried to re-recreate it a second time, you probably wouldn’t be able to. So it’s all about whether or not you can truly see the good in a work that’s “one and only.” Don’t get me wrong: some people think they can. Some people look at what’s popular, what all the critics are praising at the moment, and they go “okay, so this is rock.” They purposefully ruin their painting of Mt. Fuji and then they present it to the world. “Well, how about it?! This is rock’n’roll!” Sure, they might be able to make a living off of it. But one wouldn’t actually feel the tiniest bit of rock’n’roll in their work. And yet, that is in fact what most “rock music” in the world consists of. — As a producer, how do you decide what exactly it is that you want to put out there to the world? — Ah, so it always comes back to the Beatles. For you, they’re like the foundation for everything you do, aren’t they? — You mean, if the Beatles were still active today? If John was still alive? 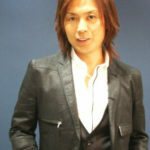 Tsunku♂: Yes. The Beatles broke up in the 60’s so they’re now considered “retro” or “standard,” but at the time, John Lennon, Paul McCartney and the other two were keeping their ears to the ground, being mindful of popular music at the time. “So this is what’s popular in America.” “Oh, this is what they’re into over in Europe.” “I see, so they like this sort of thing in Asia.” They’d find those things and then record their take on them, using their own techniques. — They were the trendsetters of their time. — What do you think the Beatles might be like if they were still active today? 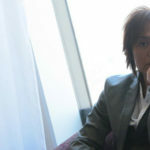 Tsunku♂: I would think they’d still be just as aware of what’s going on in the world. I bet they wouldn’t be occupied with just their own music, but all the cool stuff that’s happening around the world. I mean, at the time, they were aware of what the Beach Boys were doing. They were aware of their competition with the Rolling Stones — for all I know, they might’ve at some point said “Oh, looks like we’re going to be releasing something on the same day as the Stones. Let’s delay our release for a week.” (laughs) Anyway, what I’m saying is that even at a time like that, they tried to be very on top of what was going on around them. I don’t doubt for a second that if they were active in the information society of today, they’d make full use of those benefits. When Pro Tools was released, I bet they would’ve been the first ones to use it. Tsunku♂: Right. 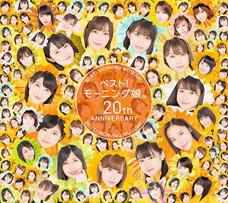 To me, it feels like constantly learning from the past is what leads to the “development” within Morning Musume. 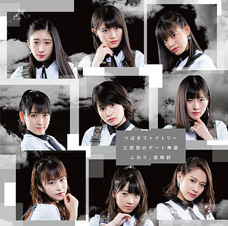 Well, not just Morning Musume actually, but everyone I produce. — So to you it feels like, rather than thinking about it as a business, you always keep more of a musician’s mindset in your work? Tsunku♂: Yes. I can’t help but do so. When I’m creating something new, when I’m in there supervising what’s being created, to me the most important thing isn’t whether what I’m making is new or not. It’s about how I can make something as popular as it can be. That’s what’s important to me. — You think about how you can make it the biggest hit it can be. Tsunku♂: There’s so much stuff out there that’s considered innovative but that’s nevertheless very minor in terms of popularity. There’s a good chance that much of it will remain that way forever. But when the Beatles focused on something minor, that thing suddenly exploded and became a worldwide phenomenon. When George said “let’s do Indian music,” Indian music became popular everywhere. When they decided to grow beards, everyone around the world was suddenly growing a beard. (laughs) If it’s at all possible for me to do anything like that, that’s what I’d like to give a shot at, too. Tsunku♂: The Beatles really do have so much appeal to them. Your favorite Beatles song is always changing depending on your mood or the location you happen to be in. Your favorite Beatles album changes with the seasons. In other words, the appeal of the Beatles is something that allows you to keep enjoying them forever. But even so, if I was to pick what I think is my favorite song of theirs at the moment…? It’s a very tough question. I might not be able to choose my absolute favorite of theirs within my lifetime. But naturally I love the voice and the songs of Paul as well, and one of my favorite songs with Paul on lead vocals is “I’ve Just Seen a Face.” I love the rock and R&B of the Beatles as much as the next guy, but this song with its country folk touch is special. Help!, the album which “I’ve Just Seen a Face” is included on, strikes me as a very high energy album. I’m very fond of it. I love “Ticket to Ride” equally as much. But it feels like on this album, “I’ve Just Seen a Face” and “Yesterday” are the only two songs that have a different kind of air about them entirely. It almost feels like they were saying, “we’re not just about rock” — like they were going back to the roots in a way. I don’t know why, but I tend to think that with these two tracks, they crossed a kind of a bridge. The Beatles really changed right around this time. It kind of makes sense to me that they recorded “I’ve Just Seen a Face” and “Yesterday” on the same day — the two songs that are like the exact opposites of each other, but that also have something in common. I feel like “I’ve Just Seen a Face” differs a bit from the so-called “Beatles sound.” Paul isn’t playing the bass but acoustic guitar. Meanwhile, John and George are on acoustic guitar duty, too. That in itself gives it a different color, but I think it’s just the fact that it’s the three of them playing guitars together and having fun that really captures their essence for me. There are songs on Help! on which it sounds like they really thought about how to best present their version of “rock,” but this song doesn’t feel like one of them. “I’ve Just Seen a Face” sounds more natural — like they finished it effortlessly. You can really hear the essence of the Beatles in “Yesterday,” but in that sense “I’ve Just Seen a Face” is like the complete opposite. There’s a certain “lightness” about it, in a good sense of the word. Yet, it’s funny how that kind of thing can actually make a song sound more rock’n’roll. In a song like “Dizzy Miss Lizzy,” John chose to do a very much rock-inspired cover, but to me it feels like he kind of over-thought it. Not to say that it’s bad at all — it was a very John-like choice of song. But I don’t sense that same kind of over-thinking in “I’ve Just Seen a Face.” It feels like a rock song in a more nonchalant way. I think I was 14 or 15 when I first heard “I’ve Just Seen a Face.” We had the Red Album and the Blue Album at home, so I was already listening to the Beatles by the time I was in elementary school. Then, when I got into junior high and started playing the guitar, I gradually started listening to more genres of music and I felt like giving a shot at just about everything on the guitar, from Japanese folk to the Beatles to the Rolling Stones. After all, when you find a song you like, what follows is always the feeling of wanting to play it by yourself. What I liked about “I’ve Just Seen a Face” was how you could basically reconstruct the song with just one guitar. If it was played on electric guitars, it’d be more difficult — you’d need a band, but more importantly, you’d need other people to play with. But with this song, you could easily give it a shot with just one acoustic guitar. Perhaps that was one of the reasons I came to love this song so much. The English in it is so fast, though, that at first I just played it by ear and sang in pretend-English. That is to say, fake English. I first fell in love with the Beatles with songs like “Can’t Buy Me Love,” “Love Me Do” and “Help!” — songs with these upbeat tempos. “I Saw Her Standing There” and “All My Loving,” too. I had all these upbeat songs in my system and that allowed me to realize: “Hey, English isn’t all that difficult. It’s not something to be scared of.” So even with “I’ve Just Seen a Face,” I wouldn’t even look at the lyrics in the booklet. I just sang it by ear. Later, when I was a university student, I’d be driving in my car listening to the song on cassette, still singing it to myself with my fake English. People like me who were of the cassette generation all made our own cassette mixtapes. I, too, made my very own Beatles best-of in junior high. Back then, the cheapest cassette probably cost you about 1300 yen for ten, but I remember specifically buying one of the chrome tapes that cost 500 yen for just one when I made my Beatles tape. I’d go to a friend’s house because he had this Beatles box thing, and I’d pick all these early Beatles songs that I dubbed on my 40-minute tape. This was like my personal “Top 20” of the time. “I’ve Just Seen a Face” was one of the songs I put on that tape. My Top 20 mostly consisted of songs I already knew, but “I’ve Just Seen a Face” was an exception — I think that was the first time I ever heard that song. It wasn’t included on the Red or Blue albums we had at home, and I didn’t yet own Help! at the time. So that was the first time in my life hearing it, and regardless of that, it still made it into my Top 20. It really may have been like love at first sight with me and this song. There must’ve been something about it that drew me to it from the very first listen. 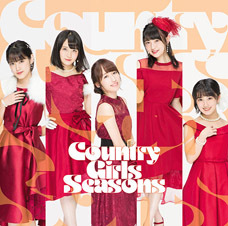 At the time, if I was to compare their songs to idols, songs like “Yesterday” or “Can’t Buy Me Love” seemed to me like girls such as Nakamori Akina or Koizumi Kyoko — in other words, the stars that just immediately stood out. In comparison, “I’ve Just Seen a Face” struck me as more of a strange one. It was so… light. If I was to compare them to one of the members from the Candies, she was like Sue-chan. Or like Nose Keiko. No, maybe it was more like Ito Tsukasa. Well, in any case: that’s the kind of song it was to me. I remember still constantly listening to that tape I made in my junior high school days when I was in university. The last song on it was “Golden Slumbers,” but I ran out of time on the tape so it’s cut short. I remember exactly the point during the song where that would happen. When it’d end, I’d quickly flip the tape over and listen to it all over again. I remember frequently listening to that tape as a university student while I was commuting to Kobe. To me, my Beatles tape doesn’t remind me so much of the time when I started playing guitar as it does of my campus life. I wonder where that tape is now? In 2000, I recorded my Beatles cover album, “A HARD DAY’S NIGHT.” I went to London to record it at the Abbey Road Studios, with the mindset of recording my covers exactly the way the originals were. “Dammit, I’m even going to make the same piano mistakes on Let It Be as on the original!” That’s how serious I was about it. The final song on that album was “I’ve Just Seen a Face.” If you listen to my version closely, just when it goes into the interlude, I’m singing “takatatta ♪.” I always loved that bit on the original — to me, it really felt “rock’n’roll” somehow. That’s why it’s there on my cover album as well. You can find things like that on all the songs of the Beatles if you love them and listen to their music enough. All those casual, little things; someone breathing into the mic at a memorable moment and stuff. It’s so cool to me that they purposefully decided to leave all that stuff in on the finished songs. If it was the average recording engineer of today, I’m pretty sure they’d cut out all that extraneous stuff. They’d remove all the noise and make it prettier. But the Beatles wanted that noise in there. Well, maybe it’s also true that technological limitations meant they had to leave that stuff in. Still, I think it’s really cool. It shows you how free they were. Likewise, in the opening of the song when they go “aaaaaaa ♪,” that was originally supposed to be just me singing it alone — but as “uuuuuuu ♪.” But as we were recording the song, Yaguchi and Ichii both individually told me they wanted to sing that part as well. So what we did was, once we’d finished recording everyone’s parts, the three of us all recorded that part together. We figured we’d throw it on top of the vocal I’d already recorded by myself, and it was only later that we realized our mistake. The part I’d recorded originally had been “uuuuuuu ♪,” whereas the bit I’d recorded with the girls had been “aaaaaaa ♪” — it’d been such a long recording session, I’d already forgotten what I’d been singing at first. But I figured if we were to record the bit together again it would take too long and it’d be a pain anyways. So instead I said “screw it — let’s just throw it all on there anyway!” (laughs) We put the “uuuuuuu ♪” and the “aaaaaaa ♪” on top of each other, and it ended up sounding just otherworldly. It sounded so strange. Later, people would tell me they liked that opening of the song. There are so many songs where the same kind of thing happened. It’s not that I’m careless when recording the songs — it’s just that I recognize there’s definitely something fun that only happens during the recording process. I want to make the most of those kinds of happenings. That may be just one of the many production techniques I learned from the Beatles. The reason I put this song as the final song on my cover album is because I didn’t sound like Paul at all. I love the song, and yet, I wasn’t able to sound like him in the least. 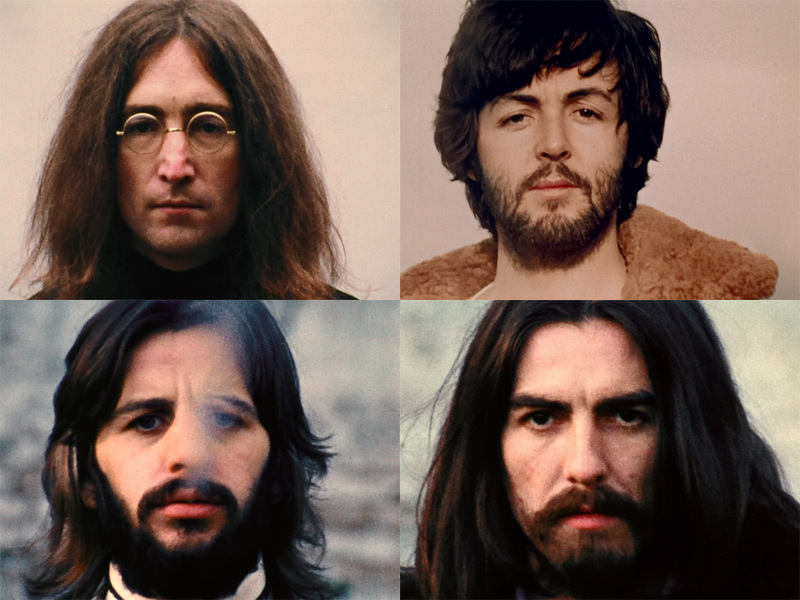 The idea behind the album was to make it sound as close to the Beatles as possible, so I ordered the songs based on how close my covers were to the originals. I put “I’ve Just Seen a Face” as the very last song, just because I hoped people wouldn’t listen to that one first and go “hey, this doesn’t sound like the Beatles at all!” “Yesterday” is near the end of the album for the same reason. 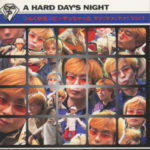 In comparison, I felt quite confident about “A Hard Day’s Night” — that’s why it’s at the very beginning of the album. It’s not only that it sounds similar to the original, but also because we put a bit of thought into its arrangement. Like with the bass drum: making it a bit louder made the song more upbeat, and as a result, it sounds closer to the Beatles remasters that appeared later. But my cover of “I’ve Just Seen a Face” didn’t sound like the original in that sense — even though it’s a song I love. I simply didn’t sound like Paul and I felt immensely annoyed over that fact. In singing the other songs I tried my best to sound like John, but on “I’ve Just Seen a Face” I wasn’t being especially mindful of Paul, nor John for that matter. It was me singing as just me. As a result, it really emphasized the beat of the song. It sounds very good and it felt good singing it. But I couldn’t get anywhere near Paul’s voice. I didn’t sound anything like him at all. Not in the least. No matter how many times I sang his songs, I was just going “no, this is wrong… this doesn’t sound like Paul.” I managed to sing the songs, but not in his voice. Age-wise, I wasn’t actually anywhere near the “Beatles generation.” I was more of the generation of the TV show Best Hit USA. In high school, I was listening to bands like Ratt and Mötley Crüe. Sure, there were some kids who were into the Beatles, but usually it was because their older brothers played the guitar or something. I knew several kids who were going “yeah, I like the Beatles, but I love Jimi Hendrix.” But the great thing about Beatles songs is how even people like us — people who weren’t from that generation — are still able to sing their songs. They have real melodies; real poetic sentiment. That’s why even we’re able to sing their songs. Personally, I was never that interested in the fashion or the styles of the Beatles, both now or back then. In my youth, their fashions and styles were already considered “retro.” And yet, even today I have just as much fun when I’m in my car or something, singing their songs with someone. Even today, my car stereo is pretty much dominated by their songs. Be that as it may, we didn’t actually play many Beatles covers when we were still amateurs. At most, we might’ve done “Twist and Shout,” and that, too, was not so much specifically because the Beatles had played it but because it was a rock’n’roll standard. 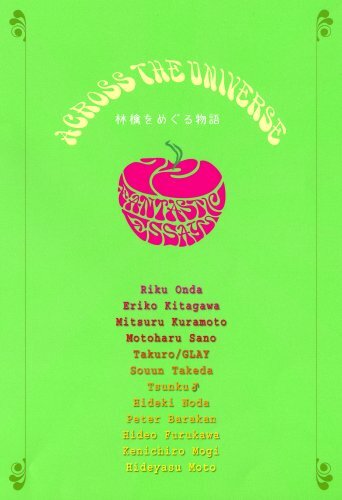 But thinking about it now, when I was in university, just once we actually did a Beatles cover show in my hometown of Osaka. It was just me and some friends — I actually had my little brother playing alongside me. It was my first time actually seeing the written music for most of their songs, and all these older, Beatles-loving guys in the area gathered there to sing their songs with us like it was karaoke. It was so much fun. My little brother, too, loves the Beatles and apparently still does some Beatles sessions occasionally. I wonder… For me, whose is the face they sing about in “I’ve Just Seen a Face?” I guess it’d be like a person I admire. Or maybe it’s just some person I see in my dreams? I first heard the song when I was around 14 years old, and I was just like everyone at that age in that my worldview was still very narrow. Maybe my “face” would have to be someone within the limited worldview I had at that age. My whole world basically consisted of school and cram school. I remember feeling happy when this girl who went to a different school than me — who I only met maybe once a week at cram school — would appear in my dreams. Or maybe one of the idols at the time, like Ito Tsukasa. I was crazy about her. The walls in my room were covered with her posters. By the way: before her, I really liked Tsuchiya Kaori. I remember watching her on the TV, thinking about how cute she was. But then I fell for Ito Tsukasa, and by the end of my third year of junior high school, I’d already become a fan of Kikuchi Momoko. Although I remained a dedicated fan of Kikuchi after that, I liked Ito Tsukasa the best when I first heard “I’ve Just Seen a Face.” Maybe this means that the first “face” for me would have been Ito Tsukasa? Even in the movie Across the Universe, “I’ve Just Seen a Face” plays during a scene where it’s meant to signify the passion of a young person’s love. I thought that was really fitting. Was there anything better than the fire you felt inside when you were in love in junior high or high school? I remember once at that age dating a girl for just three days. I confessed to her, we dated for three days, and then we broke up. But I was dead-serious about it. To me, as a junior high schooler, nothing about it felt like a lie. Sure, looking back, it makes me think “what the heck was I doing back then? !” But back then, those three days felt like an incredibly long time. Now, a week or even a month can pass by in the blink of an eye. Everyone really remembers that period of time in their life. You dated a girl for only a week… but you really, really loved her. You often meet people who still talk about that one brief experience of their youth — and yet, they’ve half-forgotten some girl they dated for an entire year. But that’s just how it works in junior high school: you meet some girl and — bang! — you fall in love with her so hopelessly. That was love at its purest! “I’ve Just Seen a Face” is the perfect fit for that sort of feeling. Maybe I first fell in love with this song because of how well it resonated with me at that age. I’m sure the energy of the song really suited me when I first heard it. “Oh man, I love this!” That’s how I felt. “So finally we meet! This is where you’ve been hiding!” It felt like I’d just come across a boss character in a video game. I once again felt something similar in my first year of university. A friend of mine took me along to his school festival, and I fell in love at first sight with this one girl. The main “event” at their school festival was this silly “physical measurements” thing. It was exactly what you’d think: they had lots of girls in the classroom wearing nurse uniforms and measuring everyone’s height and weight. I immediately fell in love with one of those girls. I saw her, and I just thought to myself “so finally we meet!” I still remember that feeling — I know it’s a cliché, but I remember literally thinking “that’s an angel wearing a nurse uniform.” At the time, I was trying to get over an unrequited love from six months before — I still felt down about it. But the moment I met this girl, my whole world changed. I never did end up dating her. Although she turned me down when I confessed to her, I was so happy for the duration I was in love with her. I vividly remember understanding what people meant when they said that people “fall” in love. I felt exactly like they sing in the chorus of “I’ve Just Seen a Face.” “Falling, yes, I am falling.” In films like Otoko wa Tsurai yo or Truck Yarou, there’s always that one scene where the protagonist falls for the girl playing the “beautiful woman” role, and you can just see the stars in his eyes. That’s exactly how I felt. It feels nostalgic just thinking about it. Sure, I went on to meet other “ideal” women later in life. I had more “fortunate” loves. I went through all kinds of experiences. I met my wife, too. But my latest “I am falling” feeling actually happened in regards to my children. Our twins were only just born in April of this year, but the moment I saw them, I just went “so finally we meet!” While you don’t of course love your children in the romantic sense, for about the first month after they were born, I completely lost all sense of “girl or boy” when it came to them. I simply found them so adorable. Perhaps when just a little more time passes, I’ll notice traits about them that remind me that one of them is a boy and that one of them is a girl. Right now, my children are the love of my life. They’re the ones who make me think “so finally we meet!” So, perhaps the subject of “I’ve Just Seen a Face” to me right now would be my children. Though I suppose in light of the fact that there’s two of them it would have to be “Faces” in my case. Ahh, I see you embedded the video of clips of his Beatles album I put on YouTube. I ended up spending way more time adding Tsunku to Beatles album covers than anticipated, but the results still amuse me. Henkka, I’d be interested to read more about Beatles references in H!P songs. For instance, the songs you posted in this article probably were influenced by them, but in what way? Are you planning to write more about this topic? I’m a newbie when it comes to Western music as I was barely exposed to it before listening to j-pop. 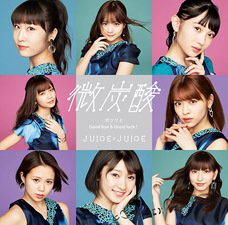 I think getting into an iconic band like The Beatles through H!P could help me broaden my knowledge of popular music in general. It would also make me appreciate Tsunku’s work even more! 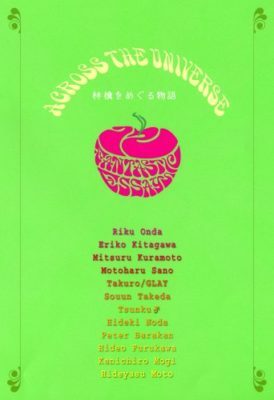 Maybe there are other H!P fans who would be interested in reading a piece called “A H!P Fan’s Guide to The Beatles”! 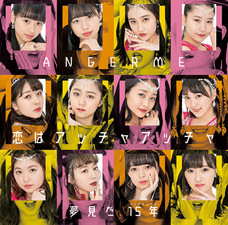 On Otome pasta Ni Kandou, there is a short guitar riff, just before the first verse. It is a reference to the opening guitar riff of the Beatles song “Getting Better” from their “Sgt Pepper’s Lonely Hearts Club Band” album. Then the following verse probably was influenced by “Got to Get You Into my Life” from the “Revolver” album, IIRC. The second example that comes to mind is the B-Side from “Shabondama”, “Dekiru Onna”, which was clearly influenced by “Fixing a Hole”, that too from the “Sgt Pepper’s Lonely Hearts Club Band” album. There is even a bit of “Being for the Benefit of Mister Kite” in that song too (“Sgt Pepper’s” again). As for getting to know the Beatles, you need to listen to the Red and Blue albums to get insight as to what are the Beatles about. First, you listen to the Red Album, which has songs from the early years (1962-66). They start out poppy, then get increasingly more experimental. Follow it up with the Blue album (1967-70) when they go out full experimental with songs from what is arguably the greatest rock album of all time, drumroll…. you guessed it, Sgt Pepper’s Lonely Hearts Club Band. From there on, they cement their legacy. My favorite album: all of them (except, well, I don’t really love the “Let it Be” album). Short personal note: while many people think the Beatles came into their own starting with Sgt. Pepper, most experts call to the preceding album, Revolver, as the turning point. I always thought I was alone in thinking it was Rubber Soul (the one before Revolver) that was the turning point and am glad someone else (Tsunku) feels the same as I do. Thanks for the translations Henkka. The Tsunku and Tsunku music translations are always my favorites. And I prefer Paul too. Hey Mixi. I’m glad if the post piqued your interest in the band. And yes, the H!P songs I threw in this post all more or less have that “Beatles sound.” With that said, that’s probably all I’m going to be doing on the topic. If you’re looking to get into the the Beatles, probably the best thing you can do is to… listen to the Beatles. It’s never too late! Just listen to Revolver or Sgt. Pepper or Abbey Road and you’ll be on your way. Based on Tsunku’s vision of what it is to be rock’n’roll, Bob Ross with his “happy little accidents” must be super rock’n’roll! Fun to hear about Tsunku singing fake English in his car. I’m sure many of us have done the reverse with his music. Wikipedia’s page for Lennon-McCartney says they’re jointly credited with 180 songs between 1962 and 1969. That’s no small amount, but still Tsunku is way more prolific. Looking at a similar time period, 2002-2009, he’s got 600+ H!P songs. I heard Paul McCartney recently announced a Japanese performance. Safe to assume Tsunku will be in the audience. I’ve been exposed to the Beatles throughout my life, as is the case with most people in our culture born in at least the last 45 years. However, it’s all been pretty passive. Sooooo thanks to Tsunku’s cover album being in my frequently played random H!P playlist, it’s quite possible at this point I’ve spent more time listening to Tsunku singing the Beatles than the Beatles singing the Beatles. 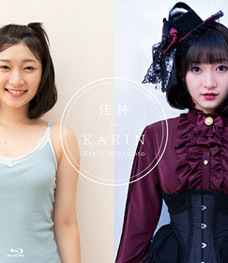 I was in a similar position as Mixi, where I only recently listened to the original Beatles recordings, after being inundated with their legacies, whether in covers, or heir pervasiveness in Jpop. My motivation was to confirm if some of the Momoclo and Buono songs I had instinctively classified as “the most Beatles songs ever” were accurate. Honestly, it was kind of muddled. I could no longer tell what aspects of the Beatles’ songs came from their keeping up on the trends of their day (they were also masters of throwback blues and folk), and which were aspects originated by the Beatles, but honed in the decades since. And which aspects were more Phil Spector/Motown than Beatles, or George Martin, for that matter. It’s a testament to how inextricably tied to music history, in both directions, the Beatles are. Thanks so much for these translations. 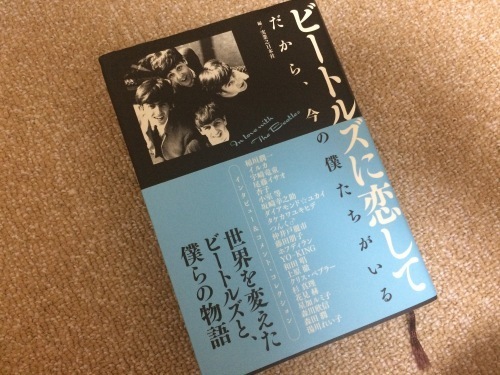 This brings so much insight into the way Tsunku approaches music and the industry, and the power that the Beatles have, after all this time. Although it is interesting in another way, in that aesthetically, Tsunku more resembles Bowie, hah.